Contemporary Single Hole 1-Handle High-Arc Bathroom Faucet in Satin Nickel Choose our sleek and easy-to-manage faucet. A modern look with a single lever handle. Faucet is constructed of a solid brass body for enhanced finish and performance. Contemporary Single Hole 1-Handle High-Arc Bathroom Faucet in Satin Nickel is rated 4.0 out of 5 by 11. Rated 3 out of 5 by Tom from Really difficult to install. Wants to leak. Really difficult to install. Wants to leak. Rated 2 out of 5 by Katie from The product arrived very quickly, but the faucet itself is... The product arrived very quickly, but the faucet itself is crooked. Returned once and received a new one, which is also crooked. The installation instructions were also very unclear, and there were three different sets of instructions, all saying different things. Rated 5 out of 5 by Horton from As advetised. As advetised. Rated 3 out of 5 by Bart from Good enough, but not great. Good enough, but not great. Rated 5 out of 5 by HaHaHa50458 from This very chic faucet looks fantastic in my half bath powder room! It was exactly what I was loo... This very chic faucet looks fantastic in my half bath powder room! It was exactly what I was looking for: I swapped out the huge pedestal sink for a tiny corner-mount pedestal cabinet with tiny oval corner mount sink. This faucet is the functional "jewelry" I was looking for -- looks so good!!!!!! Installation was super easy, too! Love it! Rated 5 out of 5 by Drew from Perfect hardware for my new vanity I selected this faucet to go with a small vanity to fit in my tiny - 5' x 8' bathroom. It has a masculine look and is the perfect scale for the vanity and bathroom. The plumber commented on how nice it was and installation was a breeze, he said. 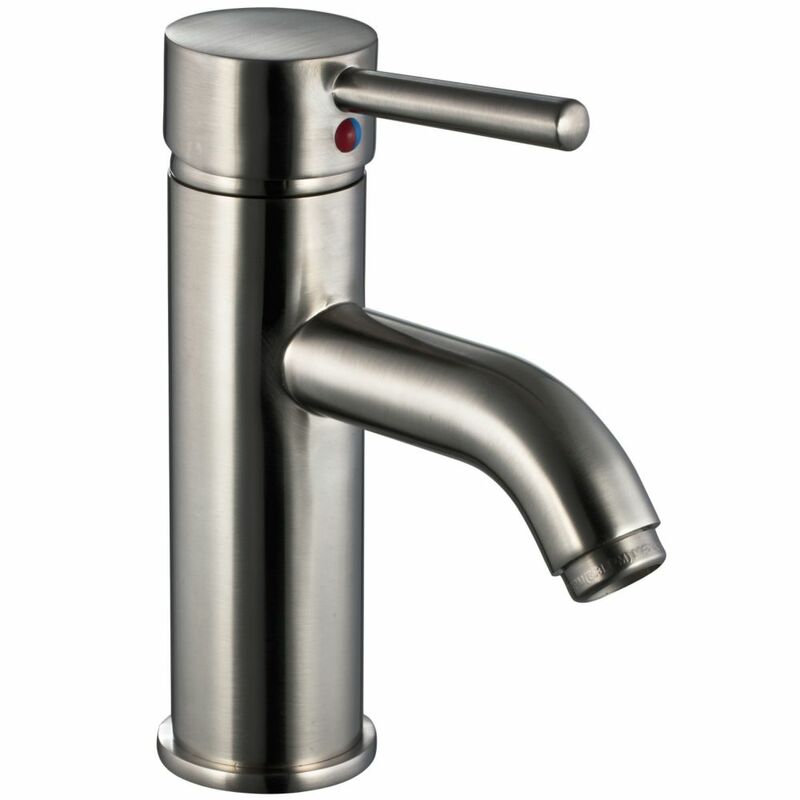 Rated 5 out of 5 by Tbird from Modern design, easy to use This is a simple, modern looking faucet. Easy to use, one hand operation which I love. Doesn't drip.